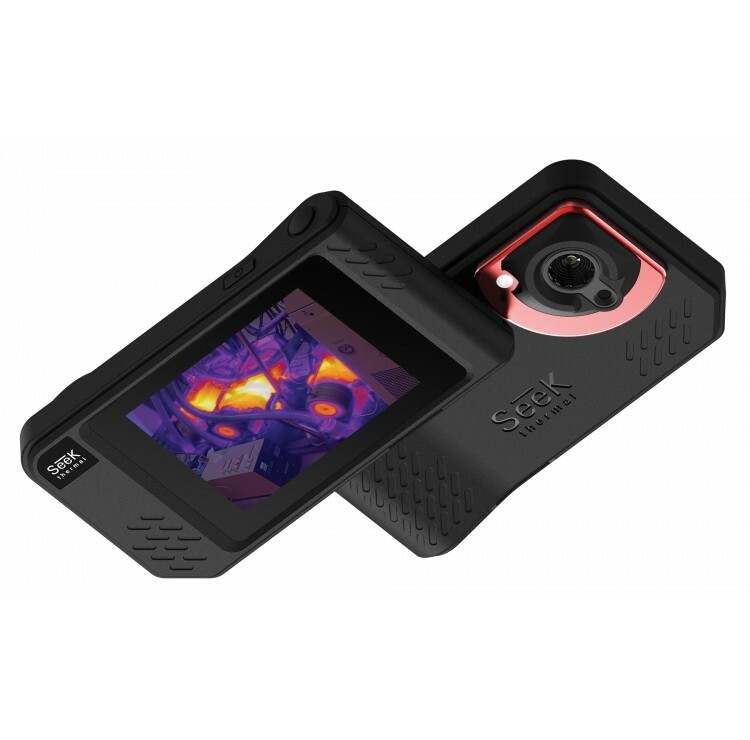 Seek ShotPRO is the most advanced thermal imaging camera for professionals. Snap photo and video and analyze immediately with new on-board thermography tools. Add spot measurements and temperature boxes to create time-saving reports on the spot. Precisely diagnose problems with 16 times the resolution of comparably priced cameras. Take full control of your image by adjusting the blend between visible and thermal images. Share and stream to any smartphone or tablet over WiFi. Mount to a tripod and live stream to colleagues to tackle tougher jobs in the challenging environments. Edit photos to add multiple spot measurements, isolate areas of interest with temperature boxes, and change color palettes to identify problems faster and with more accuracy. Close more business with easy-to-understand photos that clearly display faults, energy loss, and mechanical issues. SeekFusion combines the diagnostic power of thermal imaging with the context and detail of a visible image. Adjust the blend to quickly expose hidden problems. SeekFusion lets you create the perfect photo that tells the whole story. Stream live to your smartphone or tablet. Connect to the free SeekView app, transfer and analyze photos, and easily create reports. With a built-in tripod mount, Seek Shot is great for fixed monitoring and hard-to-reach areas. A slim, pocket-sized thermal camera built for the field. Seek Shot is designed to withstand the elements with a durable IP-54 rating. Vibrant, 3.5” color touch screen with 640x480 resolution lets you inspect with ease. The large visual workspace makes it easy to adjust thermal analysis tools so you can get the job done on the spot.